We are Neutrogena Ambasssadors and compensated for our time. However, all opinions expressed are our own. I thought my beauty routine was pretty good (especially for a busy mom of three kids): wash my face in the morning and at night, wipe it down with toner, exfoliate every other day and moisturize. I apply sunscreen when I go to the beach and there might be some SPF in my foundation. During my trip to Neutrogena Headquarters in Los Angeles, I learned that I was wrong. Not only was my daily routine lacking in a few key areas, but the decisions I was making could quite possibly kill me. Yes, it’s that serious. 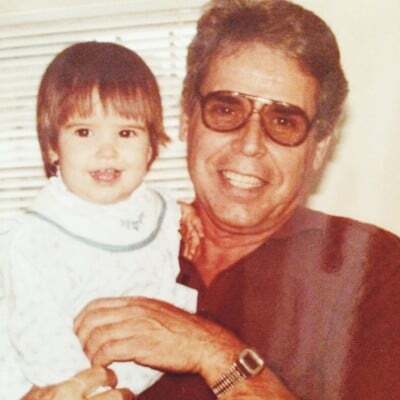 Four years ago, my grandfather passed away from skin cancer that had spread to his brain. It was melanoma that had developed on his upper chest. And while the spot had been removed, no one had realized that it was much worse. He passed away only 3 short months after being diagnosed. Watching my grandfather, a strong man who loved life and his family above all, waste away was the toughest experience of my life. No words can really describe it. Every day when I think about him, I realize that things could have been different if he had used sunscreen daily. Yet, for some reason, I didn’t. With a family history of skin cancer, I’ve been warned by more than one dermatologist to be sure to apply sunscreen when I go outside. But, in my mind I don’t go outside. I work in an office. I rarely see the light of day, right? Wrong! A great conversation with two Neutrogena representatives made me realize that I was getting more sun than I thought. Driving, walking in to my office, even sitting at my desk near the window was exposing me to dangerous sun rays. While I understood, I didn’t fully grasp it until I got behind the lens of the Neutrogena Skin Imager. Their state of the art machine shows below the top layers of skin. While the point was to show the acne that’s building underneath, I saw something more – sun spots. Sun spots cover my entire face. I wasn’t the only one. There was more going on than met the eye. By not adding one simple step in my beauty routine, I was making a deadly mistake. I’ve swapped out my facial moisturizer for Neutrogena’s Daily Moisture with SPF 30 and I love their BB cream that has the same benefits. My body moisturizer has been replaced by the Neutrogena Ultra Sheer sunscreen with SPF 70. I now keep an extra bottle, sprays and sticks in my purse for reapplying. 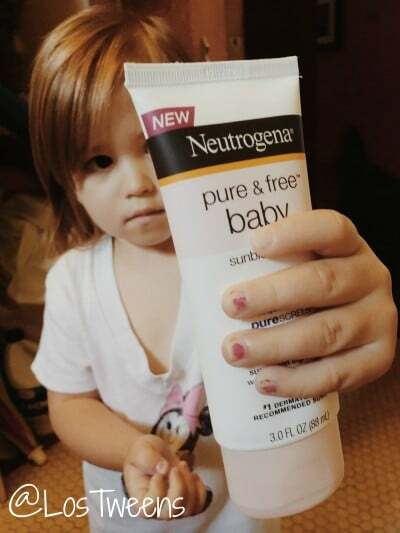 Learn more about Neutrogena sun care here. Join me, pledge to create a healthier beauty routine and take care of your skin and your life. MYTH: Darker skin makes Latinas less susceptible to skin cancer. FACT: There is no natural defense from the sun, even if your skin has a darker pigmentation or if you’re not prone to burning. MYTH: It takes years to see the effects of sun damage on my skin. FACT: Studies have found that marks on your skin such as spots, lines and freckles can appear within weeks of sun exposure. UV rays alter pigment and cause loss of skin elasticity and firmness. MYTH: When you are not in direct sun you have nothing to worry about. FACT: There is a risk of sun damage and skin cancer both indoors and outdoors even if you are not directly exposed to the sun. UVA rays penetrate through glass whether it is a window in your house/office or your car windshield. This entry was posted in For Mothers & Tias, Personal and tagged beauty, Health, melanoma, Neutrogena, Parenting, sun care, sun screen. Bookmark the permalink.